The X3750 boasts innovative features, providing food and pharmaceutical manufacturers with the most advanced and adaptable x-ray solution on the market for glass jars and containers. This three minute technical animation showcases all the features and benefits of the X3750 x-ray system, such as adjustable guide rails, high throughputs, hygienic design, high-speed reject devices and vision windows with illuminated tunnels. 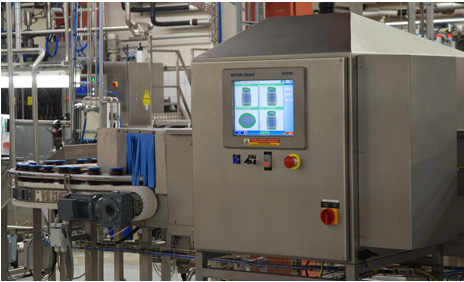 METTLER TOLEDO Safeline’s glass x-ray inspection systems are relied upon by food, beverage and pharmaceutical manufacturers worldwide to ensure product safety and integrity. X-ray inspection systems are ideal for detecting physical contaminants in glass containers, such as jars and bottles containing a broad range of products such as condiments and sauces, fish and seafood, fruit and vegetables, infant feeding products, ready meals, meat, poultry and dairy as well as beverages and medicines. 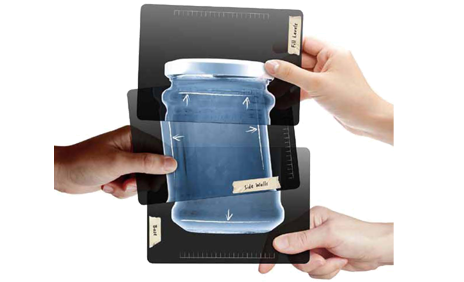 Glass container x-ray inspection systems can detect a wide range of physical contaminants such as a shard of glass, metal, mineral stone, calcified bone, high density plastics and rubber. Detection is possible irrespective of contaminant shape, size or location within the bottle or jar, at high line speeds. By ensuring the highest levels of product safety and quality, our x-ray inspection systems protect consumers against substandard product, minimise the risk of product recalls and help manufacturers uphold brand integrity. 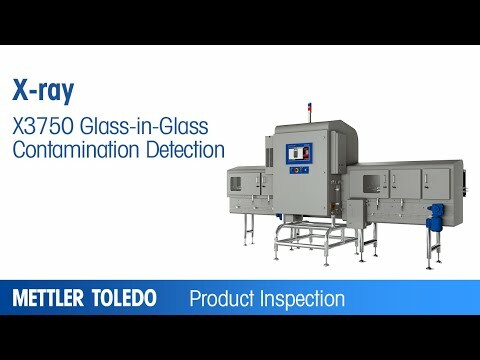 In addition to providing contamination detection, METTLER TOLEDO Safeline’s glass container x-ray inspection systems simultaneously perform a range of quality control checks. Manufacturers can optimise overall production line efficiency, avoid product waste and ensure customer satisfaction by detecting under- and over-filling of glass jars and bottles. In addition, examining for the presence and secure positioning of lids will ensure product freshness and avoid potential bacterial contamination. All Safeline x-ray inspection systems detect glass contaminants, but the purposely developed glass-in-glass detection machines provide all-round glass inspection by reducing blind spots in the base, sidewalls and neck of the container. Optimal glass-in-glass detection can be obtained using either a combination-beam x-ray system or a system with an angled single x-ray beam. Solutions are available which can detect and remove glass contaminants within glass packages at high throughputs. What are the challenges with inspecting glass containers for contaminants? Glass containers are one of the most challenging products to inspect, mainly because the primary contaminant is glass – the same material and density as the packaging itself. The density of the material, the base, sidewalls and neck of the glass container can all cause blind spots, making the inspection even more challenging. This means potential contaminants, such as a shard of glass, can go undetected. METTLER TOLEDO offers a range of glass inspection systems to ensure all physical contaminants are detected. Can the glass container itself effect the performance of the x-ray system? Glass jars are created with natural variations and inconsistencies. While the overall weight and outer shape of a jar remain consistent from the mold, the varying thickness of the glass walls, and particularly the inner base, can be as much as 20 percent. This can make contamination detection challenging. METTLER TOLEDO offers a range of glass inspection systems to ensure all your physical contaminants are detected. Various x-ray inspection systems are available for the inspection of glass containers, including systems with single beams, split beams, combination beams and angled beams. How does an x-ray system inspect glass and is there any unique advantage for glass inspection? METTLER TOLEDO offers a range of glass inspection systems. Horizontal beam x-ray systems are most commonly suited for glass-in-glass inspection. The key factor in detection sensitivity for glass containers is the container depth as the x-ray inspection beam has to pass through it. The x-ray generator of a horizontal beam system is mounted in the side of the machine cabinet, scanning through the side of the container. This allows for easier contaminant detection in difficult to inspect areas such as the sidewalls and the base of the containers, which in turn minimizes false rejects. Do multiple beams offer advantages when inspecting glass containers? The probability of detection can be improved by using two or more beams. For example; a fragment of glass is never a perfect sphere, it’s normally an irregular shaped shard. The more the physical contaminant lies in the path of the x-ray beam, the more product is displaced by the denser material, which makes it easier to detect. So inspecting the same jar simultaneously from different angles increases the chance of shard detection. What test pieces do you use for validating x-ray performance? It is recommended that glass test pieces are made of the container glass you are inspecting, as this glass type is most representative of a possible contaminant. It is also recommended that manufacturers use irregular shaped glass fragments as these will provide the greatest challenge to inspection software tools. How do you make sure glass containers are not damaged when rejected from high-speed production lines? A number of different reject systems are available. The correct choice will depend on several factors, such as the environment, belt speed and the weight and size of container. For high-speed applications, more advanced reject systems can be used. 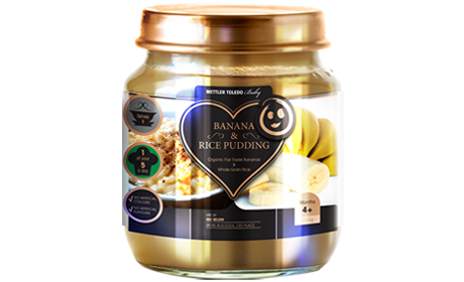 These smoothly divert containers at high speeds onto a parallel reject conveyor without damaging the glass jars. Can x-ray systems provide additional checks over and above contamination inspection? This provides complete product integrity and ensures only perfect product leaves the manufacturing plant.